We hear a lot about the customer experience, but should you start with the customer experience? Maybe it would be better to start with the internal experience of your own people. 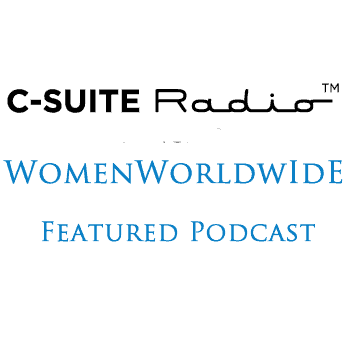 My guests today are Dr. Rachel MK Headley and Meg Manke they are senior partners at Rose Group Int’l where they developed their proprietary leadership framework. This allows leaders to solve team problems, address generational issues, manage changes, and address goals. They are also co-authors of iX Leadership: Create High-Five Cultures and Guide Transformation. Rachel is a Mensa PhD scientist, a Project Management Professional, TEDx speaker, and is on the Council of Trustees for South Dakota State University. Meg is a culture and leadership expert with years of experience leading companies through transitions, mergers, acquisitions, and behavior-based training. I am so excited to have them here today to talk about iX Leadership and culture transformation. [03:19] Meg and Rachel were in some of the same leadership groups. [04:06] They realized that work shouldn’t be so hard for people and started developing the concepts of iX leadership. [04:25] Rachel had a company and was doing corporate consulting. She started noticing how some teams could thrive and some teams could be miserable even though they were under the same leadership. [05:47] Rachel knew Meg was the person to partner with when it comes to culture, motivation, and connection. Their skill sets complemented each other. [07:16] Meg and Rachel developed a lot of concepts right off the bat. They then decided to put it in an easy to digest book to make the largest impact. [09:25] The book was for everyone. There is something in the book for every team. [10:37] People make up the culture of a business environment, and team culture is difficult to shift. [11:05] Shifting the culture and the mindset. We create the culture. A great internal experience is designed. It doesn’t just happen by chance. [12:14] You have to help people understand why the change is important for them. [13:23] Organizations have to find the thing that it is to get people to fight for them. The leadership team needs to be passionate and then transfer that passion to their team in terms that they understand. [15:19] Transparency is super important, because it develops trust. [16:03] One of the biggest barriers is people’s discomfort with change. [16:21] If you understand the type of work environment your people prefer, then you understand how they move through change. [16:55] People who like freedom jump on the change. Others may be more reluctant. The anxiety around change needs to be turned into excitement. [19:50] Once enough people get on board with the change, other people will join them. [24:09] Rachel thinks one of the fun things about having a partner is sharing highs and lows. [24:49] Rachel wants to surrounded by people who disagree and challenge her on things. This is one of the reasons that her and Meg have a great collaboration even if they don’t agree on everything. [25:41] Meg thinks that they have their arguments curated down to a discussion of how to proceed forward. [26:24] Even if they don’t agree, they bring themselves back to their real goal of making an impact on the world. [28:01] Recently two colleagues took the iX Leadership book into job interviews. [29:46] One of the most rewarding things about being a female in business is that with work and perseverance we can do anything. [31:20] One of Rachel’s toughest challenges was lack of confidence and money anxiety. She left these thoughts behind. Her biggest challenge now is taking Meg on as a partner. The benefits outweigh the anxiety. The collaboration is really exciting. [34:19] Your perspective seems to root itself in your current challenges. Challenges always exist no matter what level you are at. For Meg, making sure everything is moving forward is the most challenging. [37:00] Rachel manages stress through music and singing. [38:22] Running is Meg’s stress buster. She also has her best aha moments during running. [39:31] Advice from Rachel is to start small. Do something small but doable and build confidence. Don’t be paralyzed by the fear of failure. Celebrate your wins. [41:05] Advice form Meg is know your core values and what is important to you. You don’t know, if you don’t ask. Trust your gut and go for it.